FREE concert for school students designed to introduce them to the sights and sounds of the symphony orchestra. Lively and informative, these concerts will take you on a musical tour through the orchestra with eclectic and exciting music and an interactive presentation which brings students into the thick of the action. 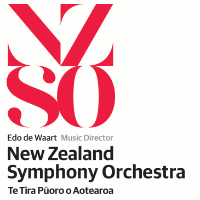 The NZSO’s FREE* concerts for school students are designed to introduce them to the sights and sounds of the symphony orchestra. I'm looking forward to go an outing on Monday 29th May 2017.